3 types of Vacuum pumps. 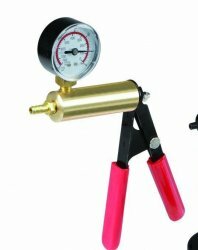 One features solid brass cylinder, cylinder head, and piston with anodized steel handle frame & includes pump w/ precision gauge. The other is the economic pump, without the pressure gauge and made from molded plastic. The 3rd is an Extreme Hand pump. The first two have a vacuum release so you can prevent over pumping and get a quick release. And with all 3 you can disconnect the tubing while keeping on the still pumped cylinder. They all come complete with clear (not black) silicone hose and "Male" Universal Quick Connect Valve Fitting for use w/ cylinder. Each pump comes with : a 1.25 "ID diameter x 3" flared end cylinder made of high quality acrylic. 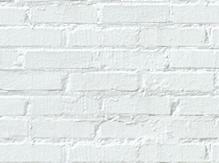 Providing straight walls and a slightly flared base or a contoured base for maximum comfort. The cylinder includes a universal quick-connect airlock valve which allows you to disconnect the vacuum pump while still maintaining pressure within the cylinder. This makes it for play and vibe use against cylinder while you are hard. We lost our vendor for our other sizes of cylinders and are seeking alternate sources, until then, we have the one size of cylinder available. This item is not eligible for the Flat rate shipping option. In Int'l shipping or For US Domestic, due to weight/bulk, Please choose either First class/Retail Ground or Priority. Both the pump and cylinder are tested prior to shipment and are guaranteed to hold pressure/vacuum upon arrival. Both the pump and cylinder are tested prior to shipment and are guaranteed to hold pressure/vacuum upon arrival date.